in the even there is even anyone out there still paying attention to this little corner of the web..
here are weeks 44 & 45 of my 2013 project life album. don't let this fool you into thinking i am in anyway near caught up. 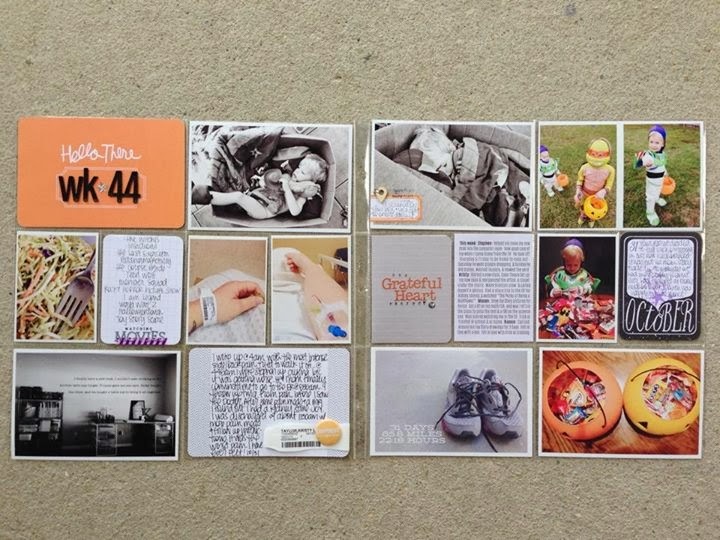 i have weeks 1-7 done... that were completed in february..
and then last week i did week 44, today i completed 45.
supplies: studio calico kit cards, printable labels, alpha stickers, & woo veneer. studio l2e flair. american crafts alpha thickers. blush project life kit foldover card. 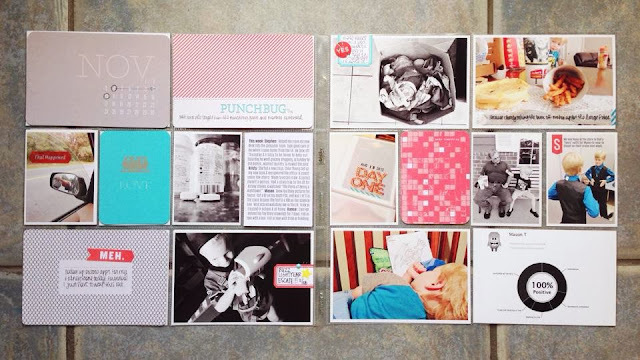 supplies: studio calico kit cards (red, blue & calendar), printable label, & alpha stickers. jade kit cards (red stripe & chain link) amy tangerine 'that happened' sticker', basic grey 'yes' acetate embellishment.